Re: Split: Burnt banning Lance, Ganz & Ryu from server/forum. Please cease these activities and abide by the forum rules otherwise we will take further action. The Warcraft II Forum Team." I am confused what this is for. which post is it referring to? and why weren't you warned for posting "you're a dumb chop newbie who holds no relevance to the game. you're also an admitted hacker and dumb fascist baby." in the very same thread. I could post a million other quotes of people "insulting" other players where nothing is done. I am guessing we aren't allowed to make jokes about burnt? because it was directed towards claw who is a fascist that creates threads which immediately end up in wasteland, he's not treated as a proper user here. gg. They should really put a reasoning to exactly why you are being warned, what rule you broke, and which comment got you the warning...the current vague PMs would piss anyone off. But I m thinking it was the one we're you said burnt would kill iL and take over the server...probably by Blid? Donno...he seems pretty intent on keeping burnt not look like a martyr. If that's the case, I don't see how that should warrant a warning...but it's not the first time stuff has happened to people who haven't done anything ...probably the new trend. Yea how are we supposed to change our behavior if there isn't even a specific post qutoed? You realize if you click the link in the PM, it links to the specific post? Violating any of the rules the community has voted to enforce in the official rules poll*. Blatantly disobeying a direct request issued by a moderator. "yea they will be all over the news when he kills iL and steals the server from him." yeah for real I don't really like you joking about someone being a murderer or serial killer and I asked people to stop and you continued with it. Now take your meaningless 10% warning like an adult and move on. 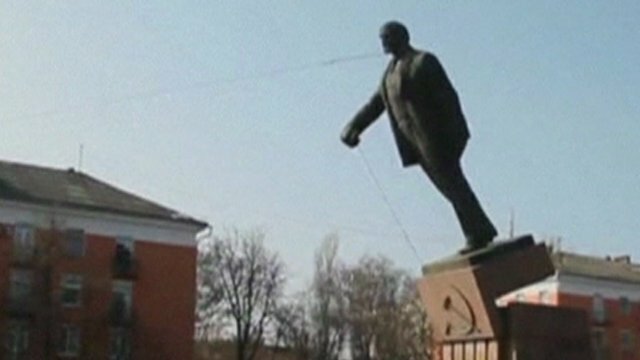 Lenin has fallen but Stalin is coming. Meaningless accusations and defaming not really against the rules...so what rule did he break exactly? Refusing to take orders from you? Hmm...Nazism.war2.ru should be the DNS of this place . I bet in reality all the mods in this place have small dicks why they feel the need to warn you so you will listen to them. Pathetic. "Blatantly disobeying a direct request issued by a moderator." You never asked me specifically so it wouldn't be a direct request anyways. I bet in reality all the mods in this place have small dicks why they feel need to warn to scare you into listening to them. Pathetic. You missed the part of the rules about disobeying mods.